Born in London in 1863, Dr. Cohen was educated in England and lived in South Africa, Jamaica, and Mississippi before coming to Galveston. He spoke eleven languages, well, and was a charismatic speaker. Despite his small frame, he displayed a giant’s determination and a flair for the dramatic as he went about his duties. Upon hearing of a girl being kept in prostitution against her will, he tore across town on his bicycle, barged into a whorehouse, and found the girl half-naked. Wrapping her in a blanket and walking with one arm around her and the other guiding his bike, he led her to a clothing store where he told the merchant to “fit her out from head to foot.” Then, he took her home to his wife and found her a job. Words of his fearlessness quickly spread through the back streets of Galveston. When a prostitute on her deathbed asked to be given a “proper Christian burial,” Rabbi Cohen was called. He went to the cemetery and led her service reading scripture from the New Testament. Rabbi Cohen played a major role in providing jobs and homes for Jewish immigrants in what was called “The Galveston Movement.” Beginning in the 1880s millions of European Jews arrived on the East Coast without the means to survive—no English, no job, and no where to live. They settled with fellow immigrants in the slums of New York’s lower East side where several families often crowded into a tiny room, even sleeping in hallways. The congested, impoverished conditions led to child labor and to crime. American Jewish philanthropists were embarrassed, and set about organizing a program that diverted ships away from the port of New York and on to the port of Galveston. 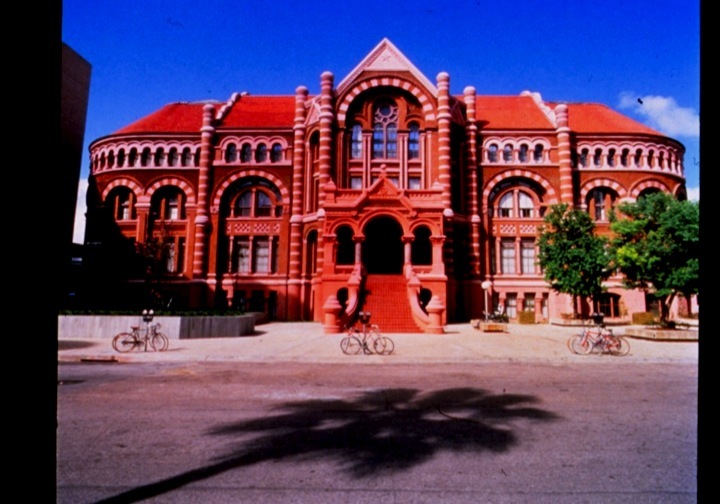 Rabbi Cohen, through the Galveston Movement worked from 1907 to 1914 with cities and towns, mainly west of the Mississippi River that kept him informed of their employment needs such as trunk, harness, and saddle makers or spinners and weavers or cobblers and hat makers. Rabbi Cohen met most of the ships and directed over 10,000 immigrants to homes and occupations throughout the South and Midwest. Dr. Cohen headed the Central Relief Committee after the 1900 storm and he and his friend Father James Kirwin were the primary force that kept the Ku Klux Klan from moving into Galveston in the 1920s. As a member of the Texas Prison Board, the rabbi initiated reforms that separated hardened criminals from first offenders and improved prison medical facilities. Many young men were paroled to his care, and he found them jobs, remaining in touch with them as they got their lives back together. Immediately, President Taft picked up the phone and arranged for the immigrant to be released to the custody of the fiery little man standing before him. The 1900 storm that struck Galveston still carries the designation, as the worst natural disaster in U.S. history. Periodically, storms flooded the marshy bayou- creased island on the Gulf of Mexico, but experts believed that the lay of the land somehow protected the thriving seaport from the vicious storms that had already destroyed the port city of Indianola on down the southern coast and that often ravaged Louisiana to the east. And then on the morning of September 8 heavy winds and rain began and by 4:00 P.M. the city lay under four feet of water. At 8:00 P.M. the wind reached an estimated 120 miles an hour, driving a four-to-six-foot tidal wave across the island. Houses splintered into debris that moved across the city like a battering ram destroying everything in its path. Finally, it crashed against the massive Gresham mansion and created a breakwater that protected the remainder of the city. At midnight the wind ceased and then the water rushing back out to sea sucked away many unsuspecting victims. As dawn came on September 9, the shattered city stared in horror at the devastation–over 6,000 dead and $40 million in property damage. To raise the level of the city, dikes of sand were built to enclose quarter-mile square sections of town. Dredges scooped up the sand from the ship channel and moved along canals dug from the port side of the island. Owners paid to have their houses within each cordoned-off section raised on stilts, making it possible for the huge pipes to funnel the sand under the raised buildings and in this fashion to lift streets, streetcar lines, alleys, gas and water lines, and even the privies. The three-ton St. Patrick’s Church was the heaviest structure raised. Workers placed 700 jackscrews under the building. The workmen sang songs to synchronize the operation and on designated words, they cranked the jacks one-quarter turn. In this fashion, they lifted the massive structure five feet without causing a single crack, even in the bell tower. Church services continued without interruption. Other structures of almost equal weight were also lifted. Because of frequent flooding, many homes already sat on piers or were built with a first level used only for a carriage house and storage. Those buildings simply had the first level filled as the area around them grew higher. The first floor of some two-story buildings disappeared under the sand and the second floor became ground level. Catwalks crisscrossed the city to allow residents to get about above the stinking, muddy silt hauled in from the bottom of the ship channel. A drawbridge across one of the canals allowed movement about the city. Tourists came to see the activity. When two dredges collided and had to be pulled from the canal, residents brought picnic baskets and watched the operation. It became fashionable for ladies to carry their nice slippers in a little bag and upon arrival at an event, they simply changed their shoes. Before the storm, Galveston reigned as the business center of the Southwest, but with the completion of the seawall and grade raising, and the construction of a new causeway that handled five railroads, an electric Interurban, and a highway for automobile traffic business leaders asked: Why not have a first class beachfront hotel and add holiday destination to Galveston’s allure? In 1911 the Galvez, a $1million hotel of the finest order opened overlooking the Gulf of Mexico. Galveston was ready for its next chapter. The Pompeiian Villa, built in 1900 in Port Arthur is a replica of a first century Roman villa complete with the deep pink exterior, Doric columns, and ten rooms circling a grand peristyle. 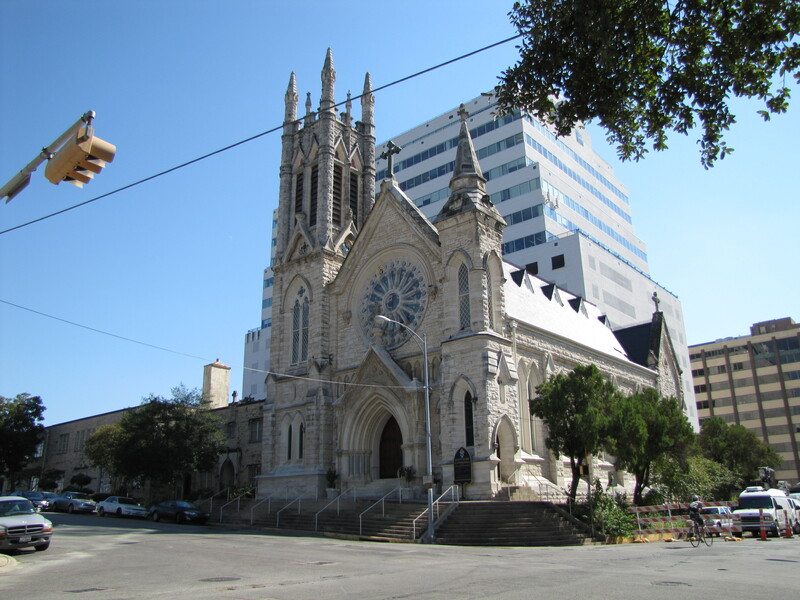 Although it is listed on the National Register of Historic Places and bears a Texas Historical Marker, its heyday symbolizes an era of surprising twists and turns. Stilwell “believed” his landlocked harbor would be spared the damaging Gulf storms and be a much more profitable locale for Midwestern farmers to ship their grain exports than shipping 1,400 miles to the East Coast. A “hunch” also kept him from constructing his railroad to the already thriving seaport of Galveston. Instead, the Kansas City Southern Railroad reached Sabine Lake in 1898 where Stilwell’s Townsite Company had already laid out the village, built a hotel, a pleasure pier, grain elevators, and loading docks. Ocean-going vessels could reach the town that Stilwell modestly named Port Arthur through a freshly dug canal that connected with the Gulf of Mexico. Three wealthy investors John W. Gates, who made his first fortune promoting barbed wire to skeptical Texas ranchers, Isaac Elwood an early developer of barbed wire, and James Hopkins, president of the Diamond Match Company joined the railroad project and real estate development of Port Arthur. Tragically, Gates managed to shove Stilwell out of the Kansas City Southern Railroad just before it reached the terminus. Apparently Stilwell didn’t get a “hunch” in time to stop Gate’s takeover. The ambitious businessmen decided the view overlooking Sabine Lake offered the ideal locale for summer cottages. Gates built a $50,000 Colonial-style mansion. Ellwood built the Pompeiian Villa for $50,000 and then sold it to Hopkins, who wanted the lavish villa for his wife and daughters. Unfortunately, when Hopkins’ wife and daughters arrived, they were greeted by the typical heat, humidity, and mosquito infestations of Southeast Texas summers. They refused to step from their carriage. On January 10, 1901, Sprindletop the oil gusher, which ushered in the petroleum age, blew in a few miles north of Port Arthur. The little town sat perfectly positioned for the first oil pipeline in the world to deliver Sprindletop crude oil to its dock facilities. The oil boom brought vast wealth to the area and housing, especially handsome accommodations such as the The Pompeiian Villa, were in high demand. James Hopkins rented his beautiful Villa to executives of Guffey Petroleum Company, present Gulf Oil. 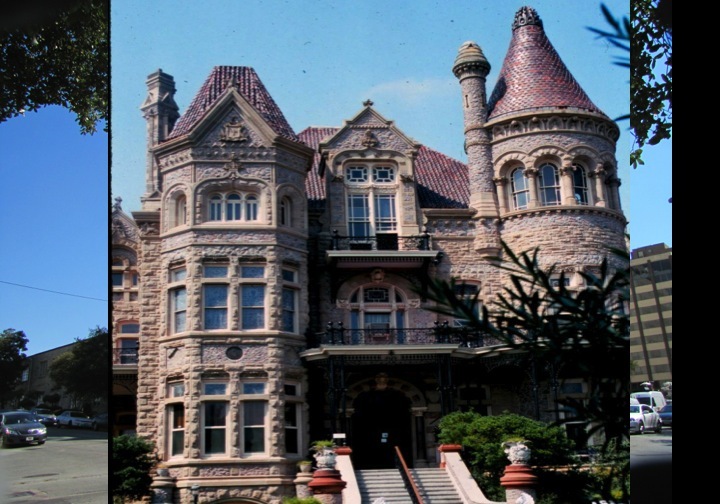 Then, in 1903 George M. Craig a local banker offered to purchase the Villa for 10 percent of the stock in one of the new oil operations called the Texas Company. Today, that stock in Texaco is worth hundreds of millions of dollars. The Craig family lived in the Villa for the next 43 years. When asked why he tossed away Texaco stock for the Villa, Craig explained that oil companies during the Spindletop oil boom were a dime-a-dozen. Oil companies started up and went broke overnight. Perhaps Craig had not developed his “hunches” as well as Stilwell.